You can buy all home brewing equipment separately and use some of the basic tools that can be found around the house but it is often easier and more economical to buy a home brewing kit. 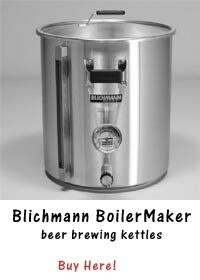 You can buy a home brewing kit in retail stores, special home brew shops and on the internet. In this article we will show you the pros and cons of all the choices. Many different types of retail stores will have a wide variety of home brewing kits available for purchase. Some of these retail stores have a home brewing supply section in their stores so people can choose their kits along with other items and equipment for their homes. Many stores will have some of the ingredients that will be used with the kit located in the same section to make everything easier for their customers to find. But you should always check the date of the products you buy because you want your ingredients to be as fresh as possible. These types of home brewing kits are generally less expensive than the kits that are found in specialty stores and depending on the store that you shop at, the selection of home brewing kits to choose from can be pretty extensive. Many specialty stores that focus on home brewing items will have a large selection of home brewing kits available in their stores. Although many people go to these stores to purchase specialty home brewing ingredients, these stores are also great places to go shopping for kits because you can actually see what the kits would look like when assembled properly and can compare them to the other kits available in the store. The quality of the home brewing kit displayed will often be the higher quality kits, so the price of the kits will be higher than the prices for the kits that are found on the internet. Another downside is that you can’t find home brew shops in every town, and not even in every city. Choosing to shop for a home brewing kit at an internet store will provide you with two different options for purchasing. 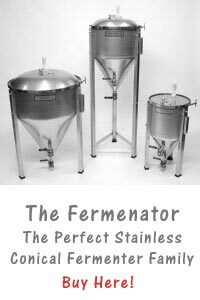 There are many home brewshops that also have a webshop available and when you know what you want there is no reason not to buy online. You can even purchase the home brewing kit online and then pick up the home brewing kit from the physical store. But you can also order the home brewing kit that you want from the internet website and have the kit shipped to your home. This gives you the opportunity to buy from a specific brand and it will save you time and money because it is delivered at your doorstep and online most home brewing kits are a bit cheaper then in a physical store and in certain times of the year even the shipping for the kit is free.